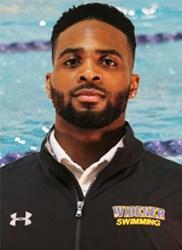 GREENSBORO, N.C. – Aaron Green (Caesar Rodney) wrapped his run at the NCAA Division III Swimming and Diving Championships with his second Honorable Mention All-America honor, this time in the 100-yard freestyle on Saturday night. Green finished second in the B final and 10th overall in the event with a time of 44.42 seconds. Earlier in the day, he tied for 16th in the preliminaries. That result forced him into a swim-off for the final spot in the evening session. The senior turned in his best career performance during the swim-off, tying the Widener record in the 100 free with a time of 44.30.